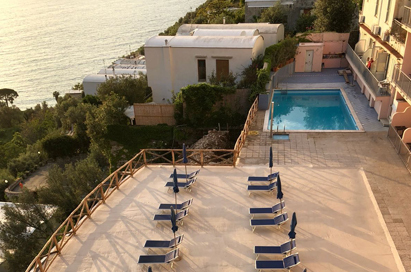 On our school trips to the Bay of Naples you will experience the spectacular rocky coastline and some of the best scenery in Italy as well as several world renowned archaeological wonders. The area was settled first by the Greeks and then by the Romans. 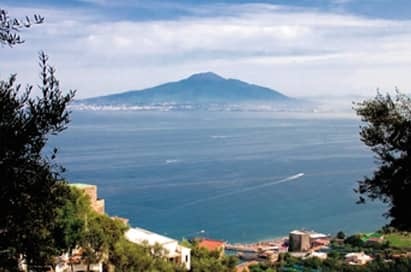 Mount Vesuvius dominates the Bay and is one of the few active volcanoes in Europe, resulting in school trips to the Bay of Naples being a very special experience. Its eruption covered the cities of Pompeii and Herculaneum in ash, preserving life as it was almost 2000 years ago. School trips to the Bay of Naples provide students with an exceptional destination offering excursions that educate and entertain. One of the most famous ancient sites in the world. Almost 2000 years ago Mount Vesuvius erupted covering Pompeii in ash, preserving life as it was 2000 years ago, and excavations are ongoing. Plaster cast was poured in the holes in the ash created by bodies, and the result is realistic models of the people buried by the ash. An ancient map named this suburb city of Pompeii as Oplontis. Today, the modern town is known as Torre Annunziata. 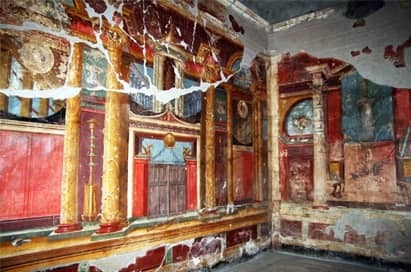 What remains of the Roman suburb is a well-preserved villa ten meters below the modern street level where visitors can roam a massive residential complex believed to have once belonged to Nero’s wife, Poppaea Sabina. It is of particular interest because of the frescoes beautifully preserved and vivid in colour. 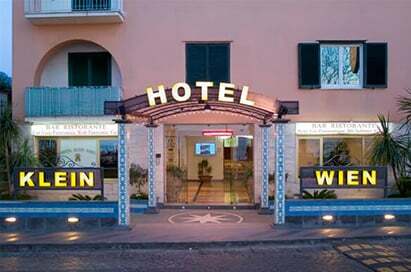 Take a trip to the top of Mount Vesuvius, the volcano that dominates the skyline of the Amalfi Coast. 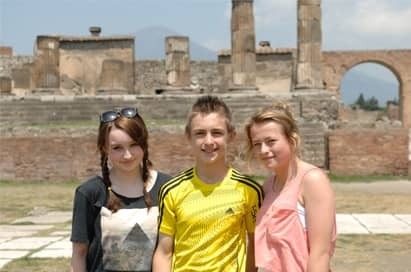 You can walk to the top of the mountain, and see close up the volcano that erupted and buried Pompei almost 2000 years ago. The eruption of Vesuvius in 79AD buried this town in an airtight layer of solidified volcanic mud, unlike the volcanic ash of Pompeii which took a while to settle and become compressed. Excavations have revealed the ancient town, and have revealed facts such as diet, clothing and furniture. 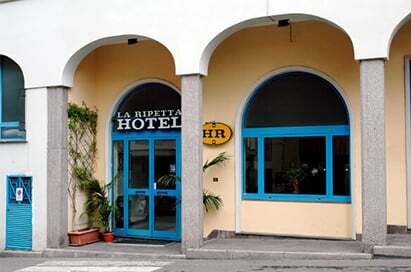 A spa town in the centre of the Phlegrean Fields west of Naples. 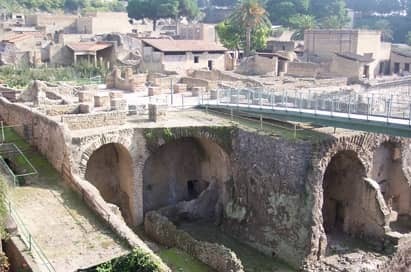 An area of bubbling volcanic activity, the town of Pozzuoli has the remains of Roman market places and an amphitheatre which was the third largest in the ancient world. Here exotic animals were shipped in to the towns port and used in contests. 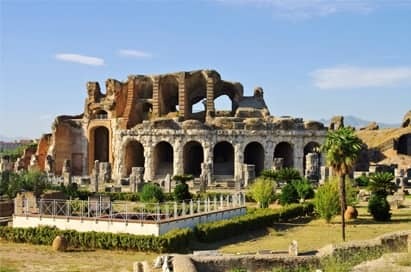 The Flavian Amphitheatre, located in Pozzuoli, is the third largest Roman amphitheater in Italy. Only the Roman Colosseum and the Capuan Amphitheater are larger. It was likely built by the same architects who previously constructed the Roman Colosseum.